These are exciting days in Austin City Life as we work out our vision to be a church that exists for the social, spiritual, and cultural renewal of the city with the Gospel of Jesus. This vision culminates in our mission to be a city renewing church, locally and globally. 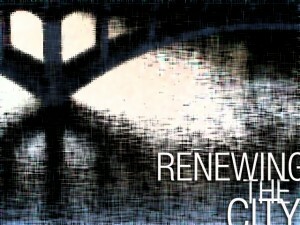 Our past two messages on Why Renew a City? and How to Renew a City have been very fruitful in clarifying vision, equipping for discipleship, shifting paradigms, deepening the gospel conversation, and promoting mission in our great city. I haven’t been alone in formulating this city renewing vision. Many great leaders, scholars, pastors, and urbanists have gone before me. I’m deeply grateful for their help. Right now, I’m about knee-deep in books about the city and discipleship. Urban studies, missiology, best practices. Here are some books I have found helpful. I have deliberately left out domain specific resources, i.e. books on poverty, creativity, economy, arts, and so on. These books have helped me better grasp the power and nature of cities like Austin. The City: A Global History – Kotkin’s historical study of cities has become a modern classic. This short but dense work argues that all great cities combined three essential elements–the sacred, the safe, and the busy. Enduring cities have been cities with a strong spiritual-moral center, robust security and governance, and a teeming economy. He sprints through history with these lenses making it a fascinating read. To Transform a City – This is an explicitly evangelical attempt to understand what it takes to transform a city. I had the pleasure of speaking with Eric Swanson at a conference and was impressed with his facility and experience with city renewal. Swanson uses the Lausanne aphorism to chart his approach to city renewal: The Whole Church, Taking the Whole Gospel to the Whole City. It is littered with great quotes, insights, and ideas. He practices city renewal in Boulder, Colorado. Weird City: Sense of Place and Creative Resistance in Austin, Texas – This is a very helpful book for locals, but also for people who live in Creative Class cities. Joshua Long is a professor of Social Sciences in Switzerland but lived in Austin for a number of years. He blend anthropological reflection, sociological analysis, economic trends, and geographic importance. He draws on the concept of topophilia (“sense of place”) to explain the unique blend of urbanization and deep resistance in cities like Austin. People in San Francisco, Seattle, Boston, Raleigh-Durham, Portland, and Minneapolis should not overlook this book. Author of Weird City, *Joshua Long* will address Austin church planters at our next PlantR meeting. You won’t want to miss it! The First Urban Christians – an academic treatment of the shift of early Christianity from a village based religion to a urban movement, particularly through the lens of the ministry and times of the Apostle Paul. Cities of God – Rodney Stark does great sociology. This book traces the movement of early Christianity into its urban expressions and offers compelling reasons why Christians have historically been at the center of city building. To Change the World – This is an excellent sociological analysis of the polar ends of American Christianity (conservativism and liberalism) and their attempt to change the world through political power. Hunter avers that political power is the last thing that Christians should be using to change the world, and questions whether or not we should set out to change the world at all. His solution to this dilemma is a call to faithful presence of Christians in all realms of life embodying the message of Jesus in the new city commons. Urban Tribes – a good look at the practice of community, commitment, and family in cities. Insightful, readable, distressing, important.